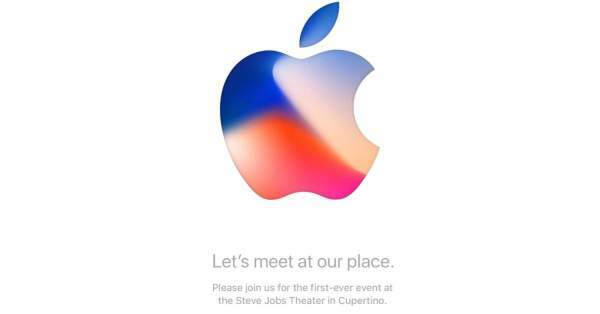 Apple iPhone 8 Event: Here’s the live streaming info, how you can watch online the launch of new Apple phone. Everything related to today event is mentioned here. After a lot of speculations and eagerly waiting, the time has come when the fans and smartphone users would witness a new series of iPhones. You can watch the event on the Apple Watch and AppleTV. Start time and what to expect today are mentioned below in this report. Let’s have a quick look at it. iPhone X has been under the spotlight for quite a time now. It is being rumored as the first radical redesign of Apple’s smartphone in years. The company may ditch the traditional home button for a bigger, less bezel, edge to edge OLED screen. There are rumors that the new iPhone model will feature a new face scanning technology via which the users would be able to unlock it by merely looking at it. Also, it is being said that it will introduce wireless charging to Apple devices. Cost expectations are to touch at $1000 or more. According to a report published on TheWallStreetJournal, the iPhone X is rumored to ditch the conventional TouchID fingerpint sensor completely. It seems that the tech giant is going to launch the updated models of existing iPhone 7 and iPhone 7 Plus. They would be called iPhone 8 and iPhone 8 Plus. There are expectations that they would be redesigned to include wireless charging, a processor speed boost (may include an A11 chip), and new software features (however, that’s exclusive to new models). Alongside a new phone, the company is expected to release a new Apple Watch with LTE connectivity. The Apple TV would probably be upgraded to support 4K and HDR videos as well as software upgrades. Earlier this year, the smartphone giant has already announced iOS 11, macOS High Sierra, and watchOS 4 at WWDC 2017. So, they may come up with more details, especially the release dates. Future devices like iMac Pro or HomePod may make an appearance. The event is going to take place in the newly opened Steve Jobs Theater at the AppleCampus today. Live stream: Fans and all viewers can watch Apple live stream available on the Apple TV set-top box via a dedicated channel. You can also catch the live updates on the Safari browser on OS X 10.8.5 or above and iOS 7 or above devices. Windows 10 users can watch the event live on Microsoft Edge browser.